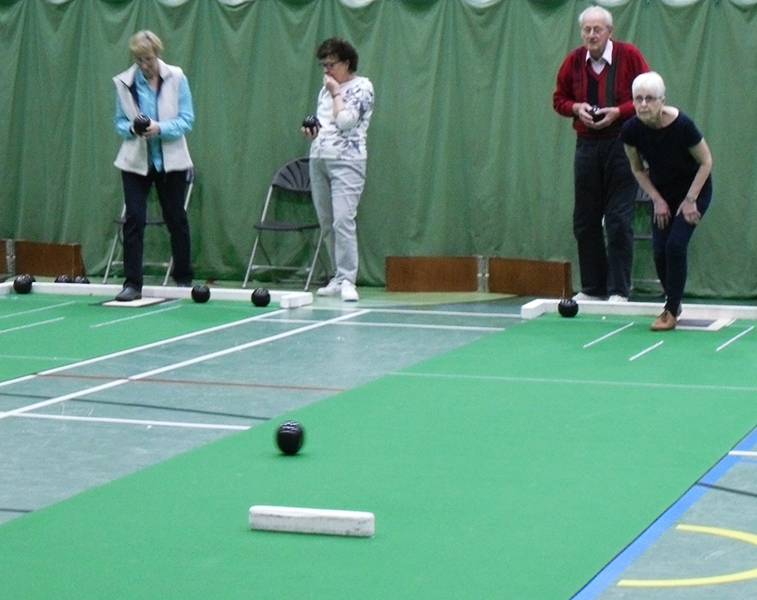 We are a small group of players of about 24 who enjoy a game of bowls on a Monday and or Friday morning for two hours at Wodson Park South Hall. The standard of play varies from beginners to county standard but not competitive, just a social roll up. New players are always welcome. Woods (bowls) are available to learn and practise with. A change of footwear is required, clean soft shoes so as not to damage or dirty the mats. Come and join us. Tuition is available.